Reduced graphene oxide–magnetite hybrid aerogels attract great interest thanks to their potential applications, e.g., as magnetic actuators. However, the tendency of magnetite particles to migrate within the matrix and, ultimately, escape from the aerogel structure, remains a technological challenge. 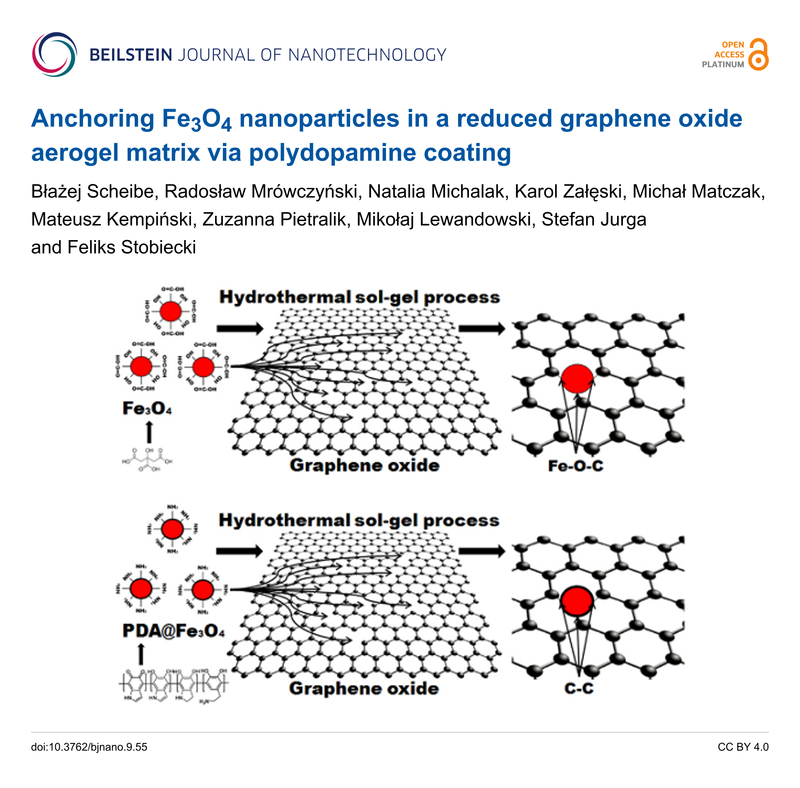 In this article we show that coating magnetite particles with polydopamine anchors them on graphene oxide defects, immobilizing the particles in the matrix and, at the same time, improving the aerogel structure. Polydopamine coating does not affect the magnetic properties of magnetite particles, making the fabricated materials promising for industrial applications.